Brits are increasingly recognising the beauty of holidaying on home soil – as we witness the rise of the staycation. 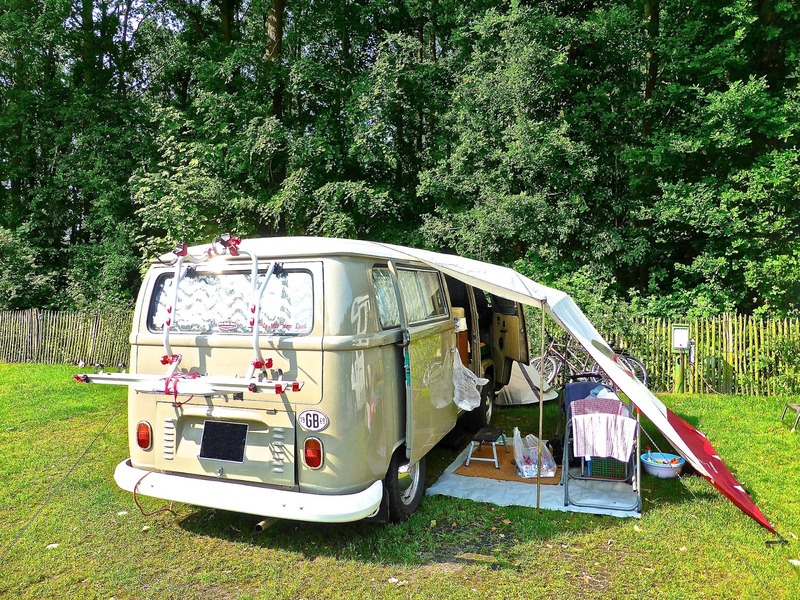 However, motorhome and campervan owners are way ahead of the game. They’ve been doing it for years. It’s an opportunity to take your ‘home’ on wheels to any location you wish – and the beauty of it? You aren’t squashed into a small tent with the rest of your family, and if it rains…it doesn’t matter because you have a roof over your head. Whilst the UK is home to some beautiful spots, the beauty of being a motorhome owner is that you aren’t limited to camp sites in the UK. You can enjoy the open road and take your wheels all over the world – and with the latest VW Trailer Assist, it’s never been easier. Manoeuvring with a trailer no longer has to be a test of your patience. Instead, allow the Trailer Assist system to do the work for you. As long as you set the system up by selecting reverse gear, press the parking aid button and use the mirror adjustment switch to set the direction in which the trailer should be steered – your car will now steer automatically while you just need to take care of changing gear, accelerating and braking. It’s as simple as that. How does an American road trip sound? Enjoy the open road and the official winner of ‘RV Park of the Year’, ranking in the top 1% of campground in America. Pretty impressive! And there’s no surprise why. It’s situated on the oceanfront in South Carolina, USA. Stretching across one mile of oceanfront, you can camp here all year round. This award-winning camp site features 630 pitches and to ensure you get your place, you can reserve your pitch up to 18 months in advance of your stay. With plenty of activities on offer, it’s fair to say your kids won’t be bored. From basketball and volleyball to horseshoes and outdoor pools – the activities are endless. Whether you are after a jam-packed holiday or a relaxing stay, you can enjoy the local area to its full potential. From national award-winning shows and more than 100 golf courses to Brookgreen Gardens — named one of the top 10 public gardens in America. It’s definitely worth taking a trip in your RV down to South Carolina. If you’re looking for some sun, sea and sand on your trip then head to the Spanish region of Murcia and stay at Campsite Naturista ‘El Portús’ that simply defines Spanish culture and looks out onto blue seas and clifftops. With over 350 touring pitches available, there is also 60 permanent pitches up for grabs and 80 accommodation units for hire. You can enjoy a swim all year round in either their outdoor swimming pool, which is open between the months of June or September, or retreat to their indoor pool in the cooler months. Wi-fi is available, and there are snack bars, a pizzeria and a restaurant on site so you can take a break from any cooking duties on your trip. If you like to feel sand between your toes, you’ll be pleased to hear that the local beach is just minutes away from the camp site offering plenty of activities on your doorstep to enjoy with your children — from windsurfing to waterskiing, you can make the most of having the sea within throwing distance. You don’t have to holiday on foreign soil though. This five-star rated, adults-only campsite is located in the heart of Cambridgeshire, offering 59 touring pitches, 14 tent pitches and six luxury self-catering lodges equipped with hot tubs – perfect for adults who like a little bit of luxury on holiday. For the fishing enthusiasts, there are two on-site fishing lakes to enjoy, with guaranteed peace and quiet thanks to their adults-only policy. Dogs are very much welcome, with plenty of expansive Fenland countryside to enjoy all year round. The site has extra-large pitches available to accommodate larger than life RVs and motorhomes. Rest assured the relaxing site can act as a great base to explore Cambridgeshire. For a home holiday vacation, visit Hendra Holiday Park situated in Newquay, Cornwall – perfect site for families of all ages. There is something fun for everyone. Surrounded by countryside and only minutes away from the beach, the park has 500 touring pitches, 500 tent pitches and 320 holiday homes available for hire. You’ll also be pleased to hear that their toilet block facilities for campers have been awarded the ‘5* Loo of the Year’ award each year. And it is not just their loos which are 5* – their facilities are generous across the entire park, offering soft plays, a pool complex, full entertainment both indoor and outdoor for all weathers, and several bars and restaurants. That’s just whilst on site too – the countryside and beaches offer even more fun for all the family. To help make your decision, when looking for your next vacation spot, narrow your search down to your requirements to ensure you get the best site for your needs. Whether it’s child friendly, adult only or super luxurious, there will be the perfect site out there for you to visit – and don’t be afraid to venture across the ocean and enjoy the open road on foreign soil.